Finding the right speaker to address the right topic at the right place and the right time is a challenge that I understand. The success of an event is often reflected in the quality of the speakers. Great speakers inspire praise for the event; mediocre speakers breed disappointment or sadly invite occasional criticism. Thanks for looking here and considering me. I am honored. Prompt, professional responses to your phone calls and e-mail messages. A personal consultation before the event, so I can fully understand how I can best serve you and your audience. An announcement regarding your event on my blog and social media channels, assuming the event is public and you want the visibility. Professionally prepared, dynamic presentation focusing on the outcomes that you choose. An immediate post-event communication to confirm that I met your expectations and request your recommendations for improvement. 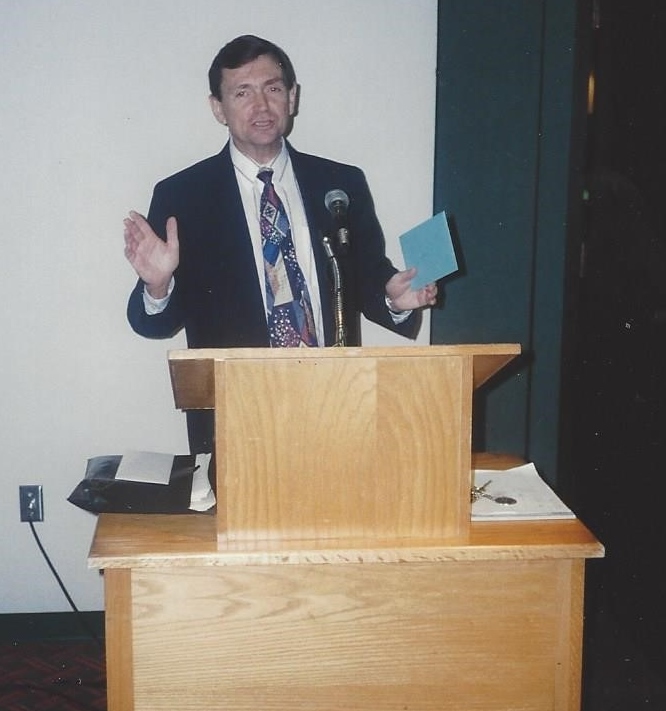 I have been speaking publicly for over 30 years. As a consultant, I enjoyed about 100 professional public speaking engagements. During that period I also frequently appeared, on behalf of my clients, before dozens of city councils, local and state boards, as well as local and state regulatory agencies. Speaking publicly under pressure or on controversial issues became routine. Since 1998, I have served as either a fulltime or adjunct professor at various universities, teaching nearly 1500 credits of university-level courses. Often it has been necessary to engage the attention of a room full of students for four to five hours. I find the challenge exciting. I have a personal burden for the catastrophic collapse of the American culture and the family. After years of research and writing a book on the subject, I am convinced that the following topics are urgent and would be enthusiastically received. I eagerly look forward to speaking to you and your organization. Broken Culture-How Did We Get Here? Government Exists to Provide Security and to Protect God-Given Rights and Freedoms. That’s All! Real Family Provides Value and Cultural Stability Throughout Generations of Time. You started this class out with SUCH enthusiasm and excitement and I LOVED that! This was the first class where the Professor was excited. I would like to commend you on being the most professional of all my professors so far. You in turn made this class to be what I had always imagined attending college to be like. Thank you for your professionalism! The instructor is doing an awesome job! Just your consideration is awesome encouragement for me. For further conversations about speaking to your organization and my availability, you can easily reach me at lsteb@tampabay.rr.com.